Who’s in the mood for a giveaway? 1st Place prize: a signed hard copy of THE LAST SECOND and a cool big surprise, 2nd Place prize: a signed hard copy of THE LAST SECOND and a lesser but still cool big surprise, and 3rd Place prize: a signed hard copy of THE LAST SECOND and a little cool surprise. Giveaway is open to US and Canada residents only. Three winners will be randomly selected. Sweepstakes ends April 1. Good luck! 2.1.16 - Winter Pick-Me-Up Contest! Y'all, it's February. The days are short, it's cold outside, and it's been a long time since I've eaten a vegetable that wasn't shipped to Publix from South America. I know, I'm just a ray of sunshine. I'm a riot at parties, too. You know what we all need? A nice winter pick-me-up. And what's a bigger breath of fresh air than a big ol' free book to read by the fire? 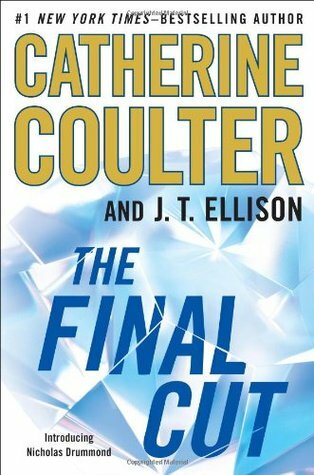 If you've never read mine and Catherine's A Brit in the FBI series, buckle up: I'm giving away three copies of the first book in the series, THE FINAL CUT. All you have to do is enter via the Goodreads portal above.